I like the idea of the Mini-NES! But not the idea of playing many of its games. Load up something like this with Link to the Past, Super Mario World, F-Zero and maybe Street Fighter II and/or Super Star Wars, though, and oh boy. 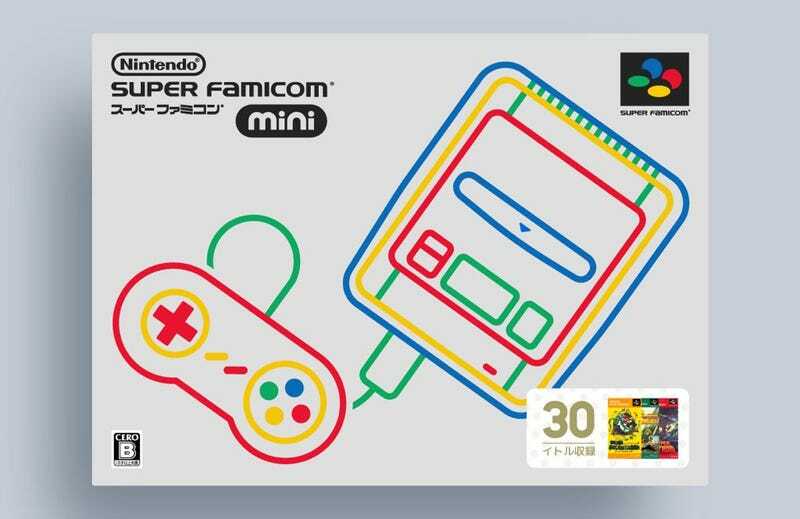 Especially since this box is for the timeless JP/PAL version of the console, a classic design statement Nintendo has had no trouble riffing on before. Were such a product to ever come to the market, of course the American box (and console design itself) would be more...purple. These mock-ups for a beautiful and fantastical future were done by artist Dan Clarke. You can see more of Dan’s work here.